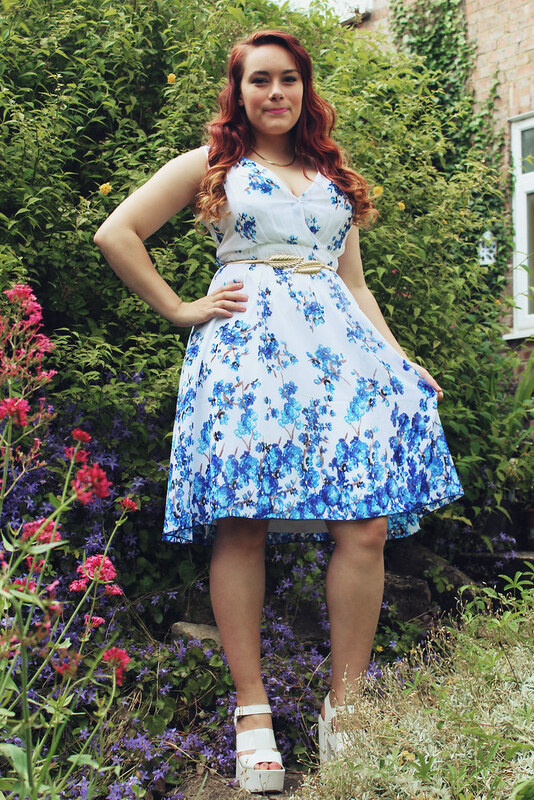 After the 'Little Mistress X LOOK' blog event, I attended a few weeks ago (post here, vlog here) Little Mistress kindly sent me a dress of my choice from the new collection. I was spoilt for choice, but eventually settled on this lovely white, floral dress as I loved the lady like length of it and the white contrasting with the gold belt, which comes with the dress. I paired the dress with my white cleated sole shoes, which are a favourite of mine currently and matched the bright gold belt to a simple gold necklace. 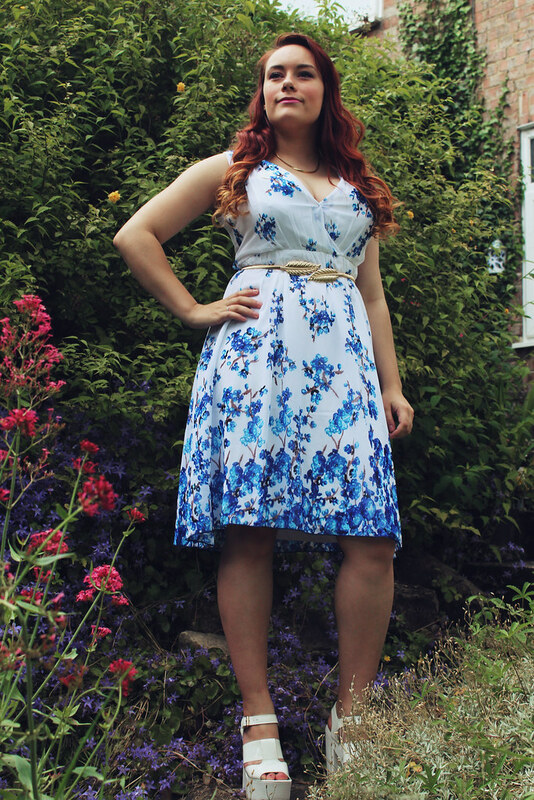 The swishy dress is lovely and light for Summer, keeping you nice and cool. I love it, and can't wait to wear it out properly. I'm a tiny bit disappointed in these photos as my belt has slid down my waist a little bit in it, and its annoying me! But it began pouring with rain about 5 photographs into shooting this outfit, so my Mum and I had to dash in. Its July and its raining?! Come on England.. Don't forget to visit my depop here, and to follow me on bloglovin' here.